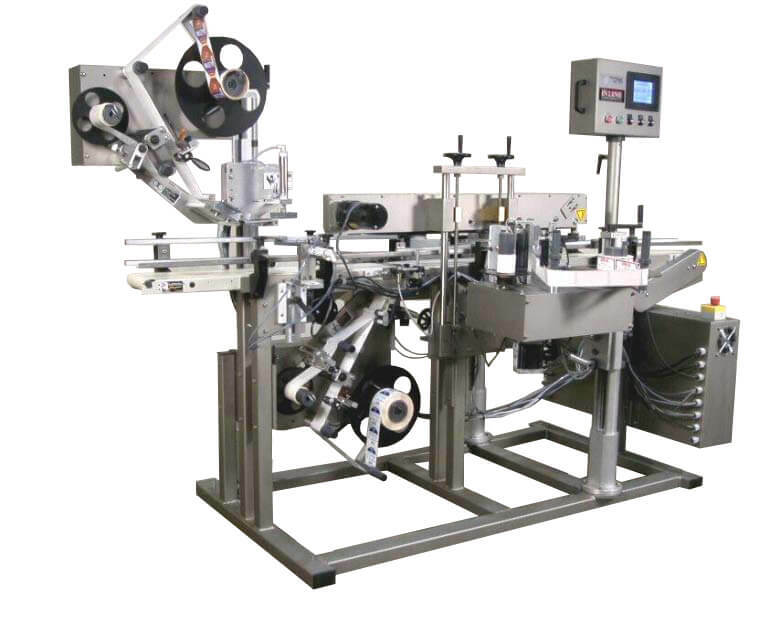 Paradigm 700NR Labeler | InLine Packaging Systems, Inc. The Paradigm 700NR Labeler is a variable speed, fully automatic labeling machine. 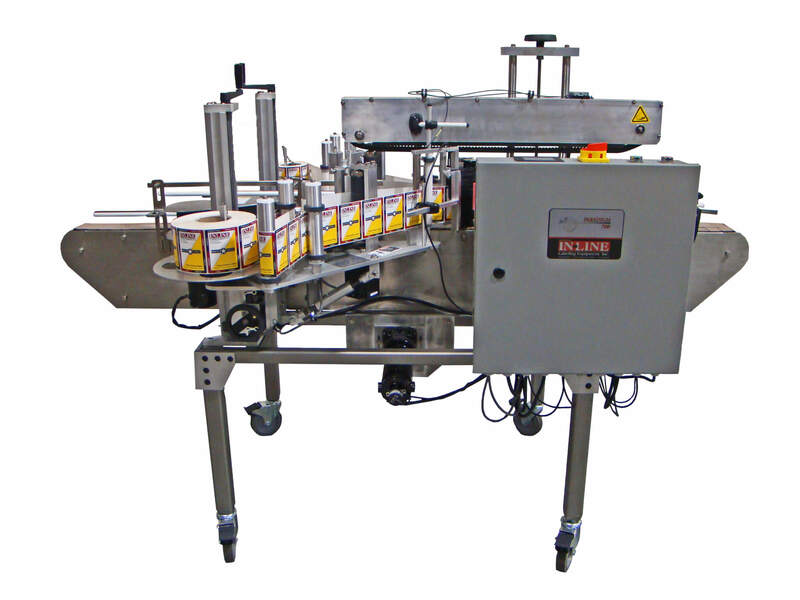 It can apply labels to non-round containers and with the addition of a wrap station can label round containers as well. It will apply two labels (front and back) since two labeling heads are utilized. The machine utilizes all stainless steel and aluminum construction and off-the-shelf components rather than proprietary boards and motors. Stepper-driven applicators and a standard Touchscreen interface are standard on all models. The Touchscreen interface controls all machine functions. Web feed and label placement is precisely controller through the use of a powerful motion-control PLC, photo-eye and gap sensors, and stepper motors and drives. The Paradigm is capable of accuracy to +/- 1/32” depending on the product. All delays are configured in counts of the product and/or label for wonderful accuracy. Products to be labeled are sensed as they pass a photo-eye. The photo-eye initiates a signal that is transmitted to the PLC. After a fully adjustable delay, the label is dispensed onto the passing product. For flat panels a wipe brush completes label application by wiping down the label onto the product. For round products, the bottle spins between a powered belt and back compression pad, “wrapping” the label onto the round container. Controls consist of a main power switch, and a Touchscreen operator interface which provides information and access to the label delay, label gap delay, batch count, speeds and more. All speeds on every 700 are synchronized together to avoid common labeling errors.